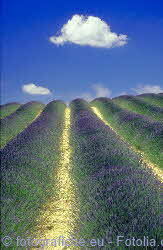 Dried lavender to buy online at Daisy Gifts Ltd in quantities from 50g to 10Kg. Coming from the lavender fields of Provence, our dried lavender is high in essential oils, produced from a highly fragrant flower which is great for lavender bags, home crafts and weddings. Looking for culinary (cooking lavender)? New culinary lavender page. Also selling Blue lavender for when the look is important. See also our new Dried hops page (hops make a relaxing combination with dried lavender). Dried lavender is available loose, and the more you buy, the better the price: our larger pack sizes (1Kg+) are available at a wholesale price to all. Highly fragrant dried lavender, Lavandula X Intermedia Grosso variety. Cornflower mix made with lavender and rose petals. To buy our loose dried lavender, just click on the enter shop links above which take you to our online shop (www.daisyshop.co.uk) with secure card payment. for lots of makes using dried lavender including this no sew, no tie lavender bag using elasticated bracelets. Or check out her ten uses for dried lavender!